NEW CHICAGO BRIDE TO BE...AND I NEED HELP!! I got married three years ago in CHicago, but I remember that I pretty much swore by the knot.com. SIgn up there if you haven't already, and read the forums. I think I found most all of my vendors there! Good luck! The best local magazine for planning is Chicago Style Weddings. It also has a great planning calendar, so you can actually use it as a guide throughout the entire year. We also have a lot of unsolicited recommendations of reliable vendors that we've worked with in the last 2 decades on our blog. 1. Picking your venue is the biggest hurdle, once you've got your place and date, everything else will come easier. 2. 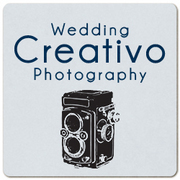 Most wedding vendors, especially venue managers, catering managers, photographers, florists, etc. are all generally happy to help you with ideas and referrals throughout the planning process, so don't be afraid to ask for help/advice...we're happy to do it. 3. When you're just getting started...plan your budget and prioritize the areas that are most important to least important. The best budgeting tool is costofwedding.com to get general idea of average costs, and there is also a budgeting tool there too you can have specifically for your wedding. Main tip - the #1 thing that affects cost is the number of guests you have. Average cost of a wedding in the Chicago metro area (including suburbs) is around $25000, and weddings in downtown can run double that amount at the major large venues. Chicago also has a lot of very unique historic buildings, former warehouses, and loft venues for smaller weddings too, which can help your pocket book if you have a smaller wedding with under 150 guests. Good luck! Thank You Guys so Much for the advice its been tough being in the city trying to plan a wedding with no outside advice or suggestions on where to go or who to use for the big day.. Has anyone ever heard of the wedding salon? i got an email from then for there bridal show. i have been to a show in NY when my sister got married but i didn't even know about the show in Chicago... Any comments on The Wedding Salon?